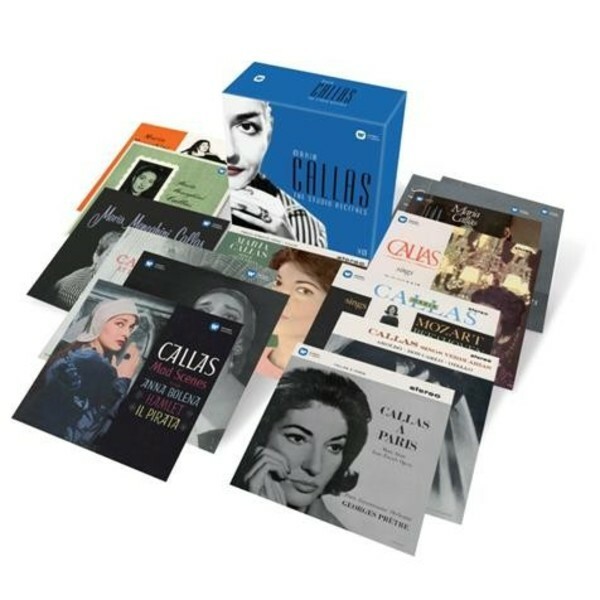 This outstanding collection of studio recitals provides fascinating insights into Maria Callas’s career and her unique artistry and musicality. Encompassing the core operatic repertoire for which she was most revered, as well as roles that she never sang on stage, these recitals demonstrate Callas’s exceptional versatility – from bel canto to verismo, dramatic mad scenes to impeccably sung coloratura – and form an integral part of her recorded legacy. The great value of these recitals is magnified by the new transfers made at Abbey Road Studios in 2014, using 24-bit 96kHz remastering.